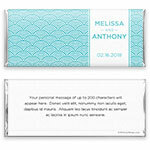 This vintage-inspired candy wrapper is suitable for any special occasion. Design: Art deco scalloped pattern with white text band. 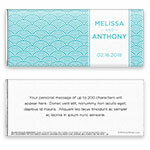 Personalization: Front text band, back message.